Here is a bunch of game-related projects. Many of them were just short proof of concept demos. 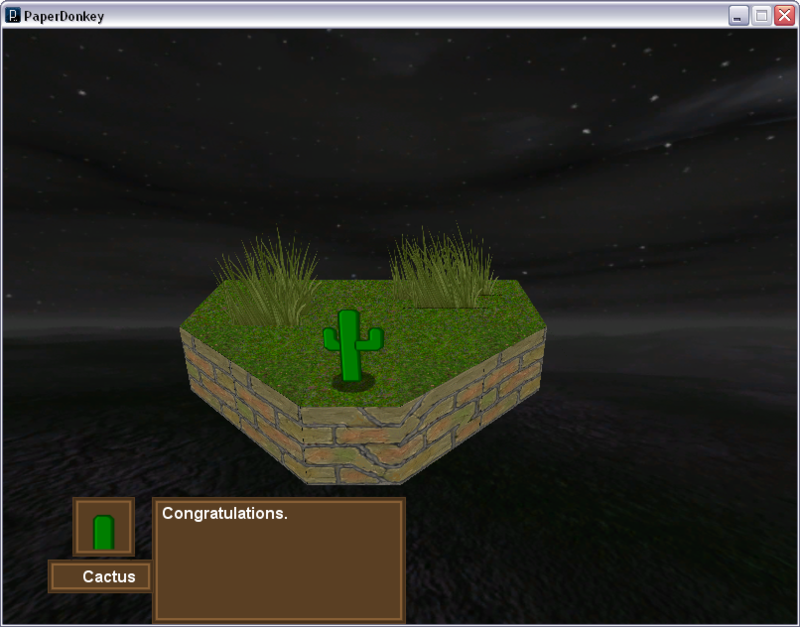 This is a “secret” game project (to be revealed August 2011). 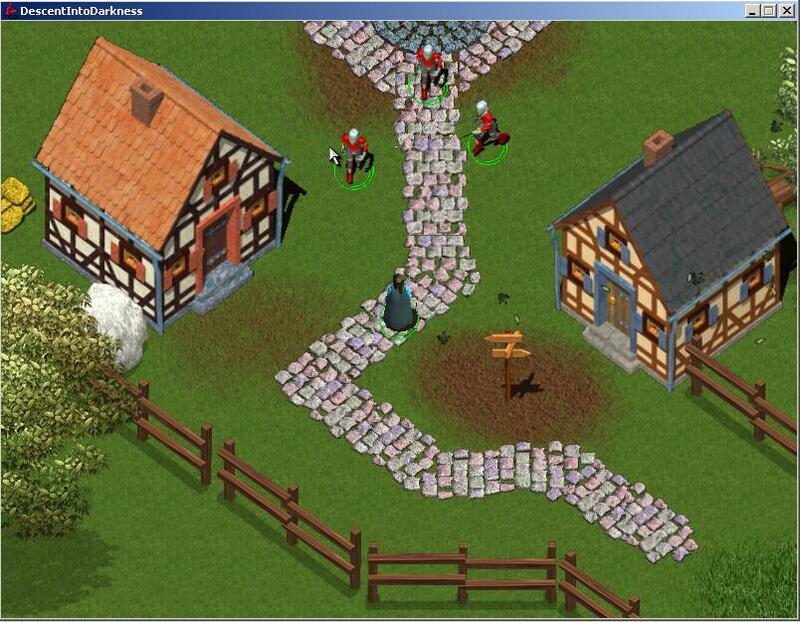 It uses my Paper Donkey engine and here are screenshots of the current state (mostly with placeholder art). 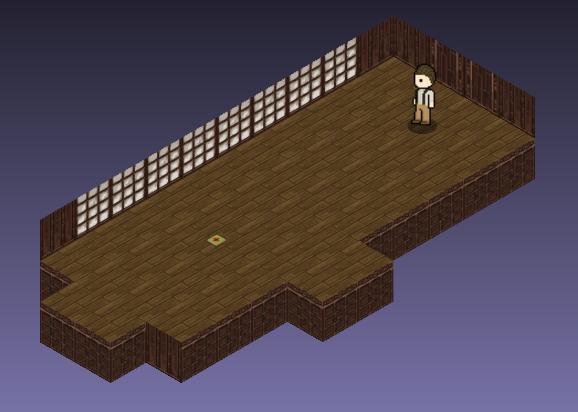 June 27, 2011: Shows billboarded sprites in a 3D environment. 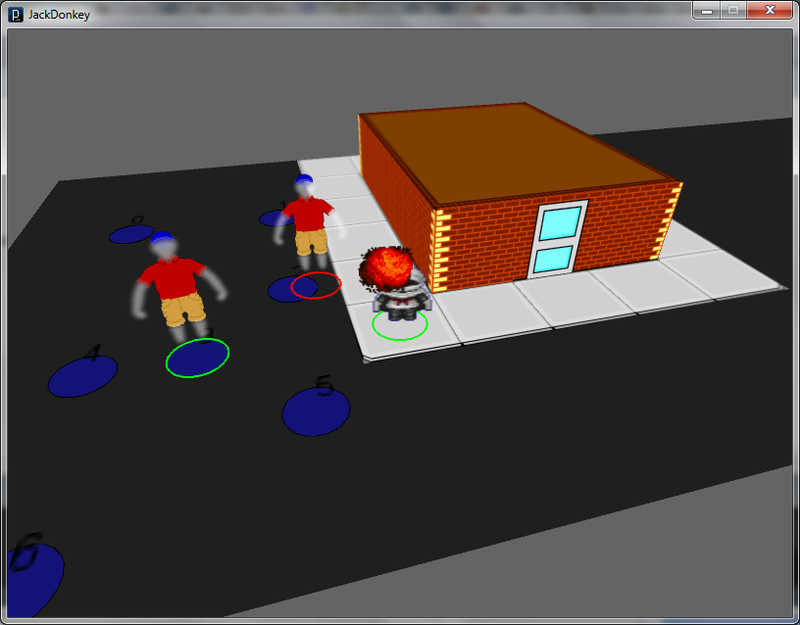 Basic particle effects and gameplay contols. 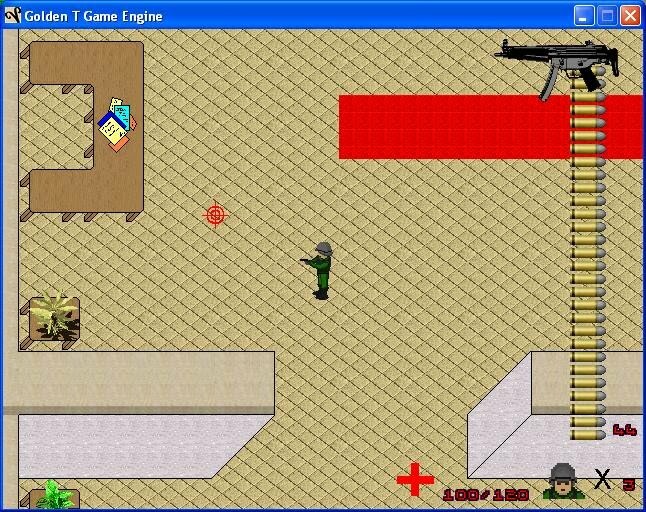 Player can fire exploding arrows and there is a state-based A.I. which chases down players and shoots at them. 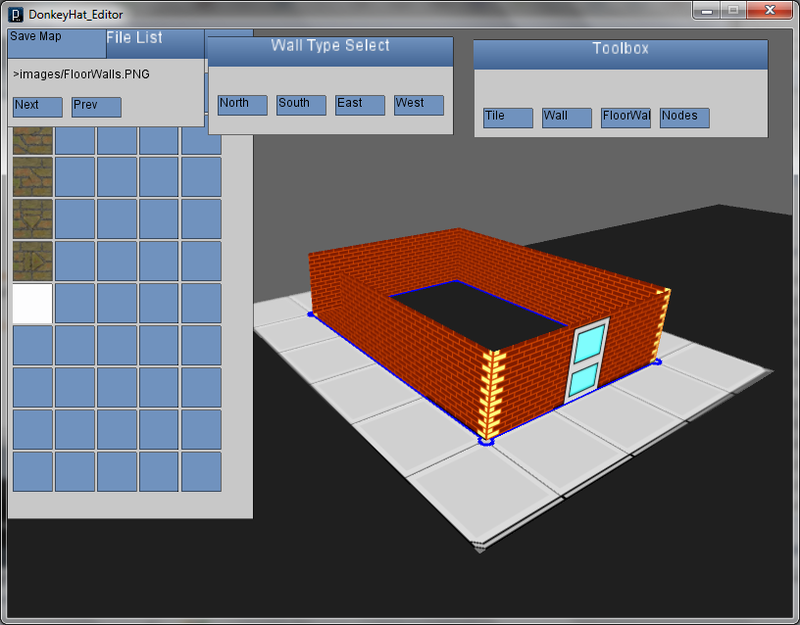 The building has working collisions (and a fancy roof). 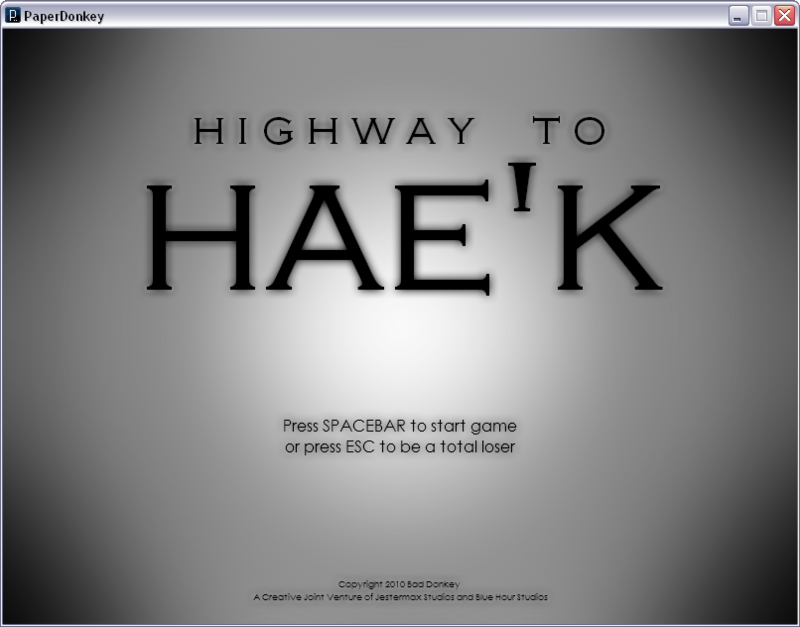 Here is some screenshots of my level editor for my Paper Donkey engine (the precursor of this engine powered the Highway to Hae’K game). 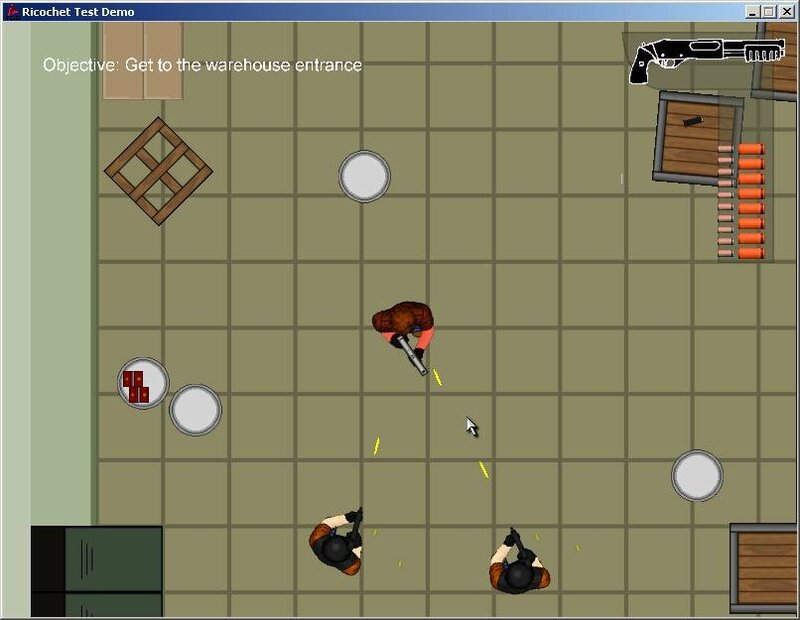 This is a maze game we (Matthew Teboe and I under the team name of “Bad Donkey”) made for the 2010 Speedgame Competition on CDN. I wrote the 2D-in-3D engine from scratch for it. It was actually a neat engine but we didn’t really utilize all of the features I made. 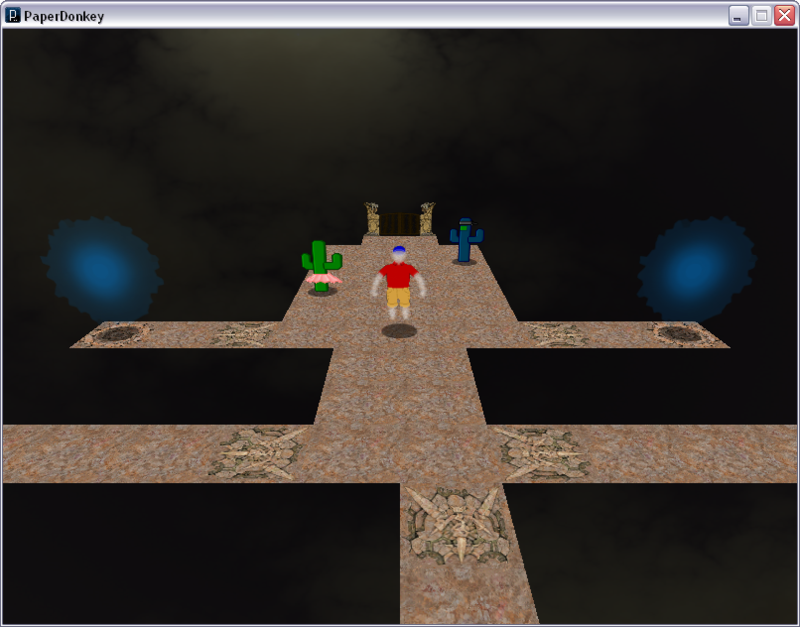 I built the whole engine in about a week and the game (levels, art, etc) was put together in the following week. 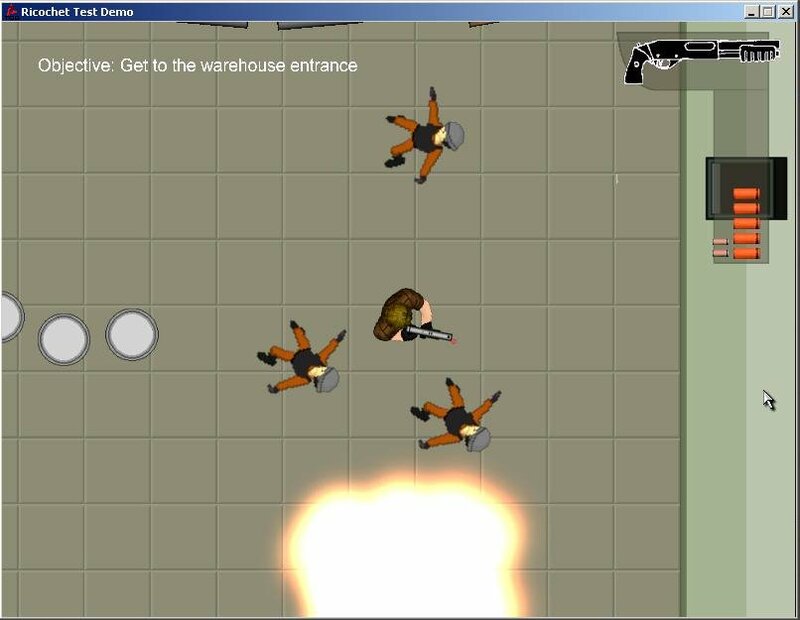 This is a shooter game I made in 2008. I got snowed in one weekend and got coding. 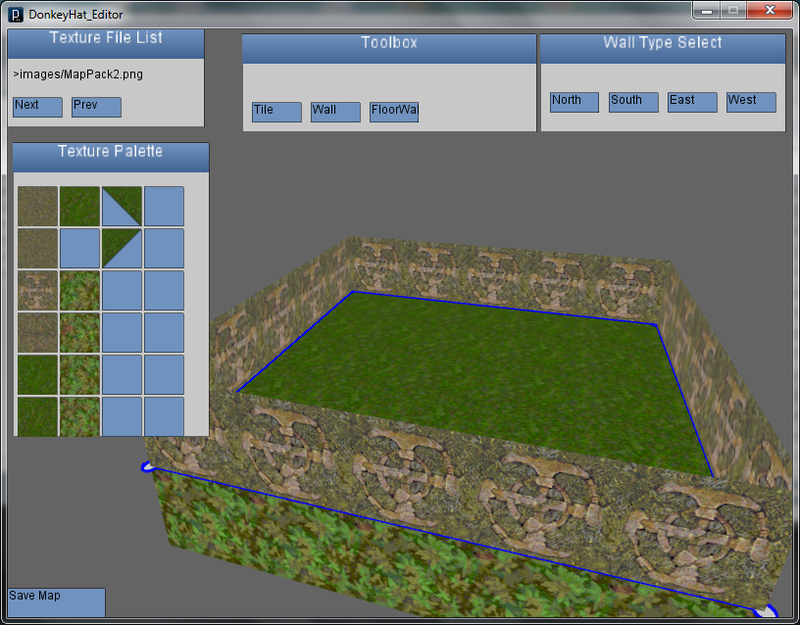 It was made using the Torque Game Builder (TGB). 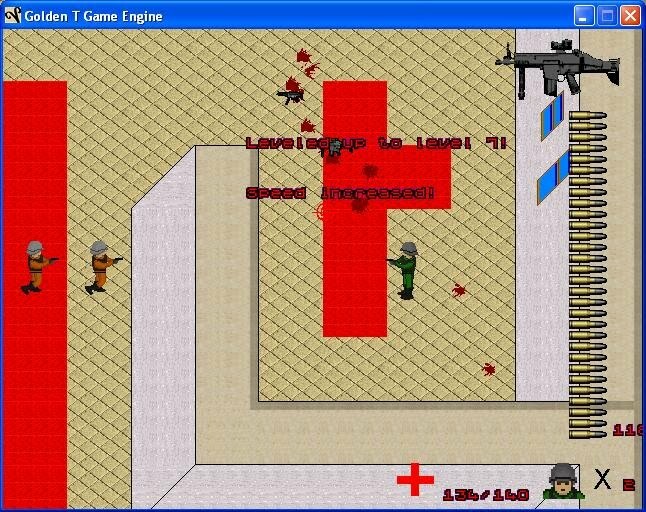 The game featured 2 pistols, 2 automatic weapons, a shotgun, and grenades for weapons. This was a neat project idea I was testing out. 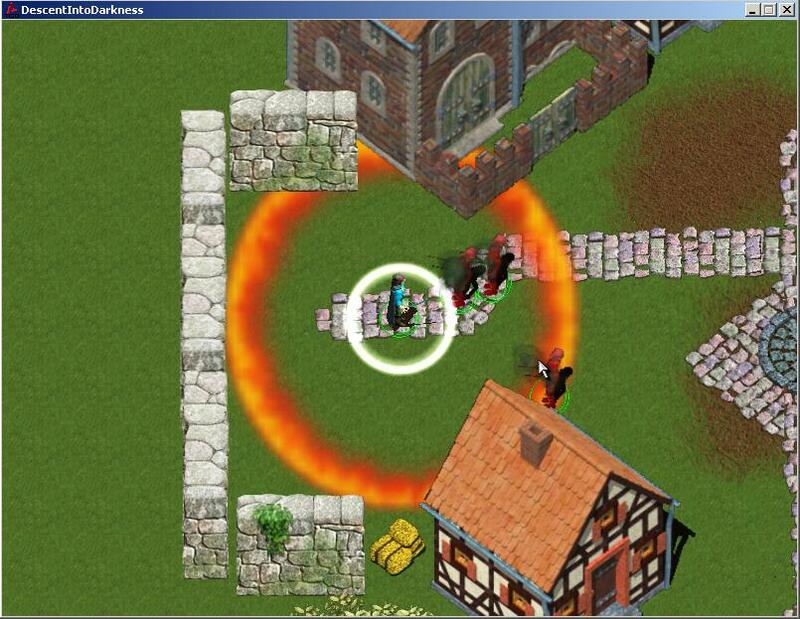 There was combo attacks and a selection of powers to blast enemies away with. 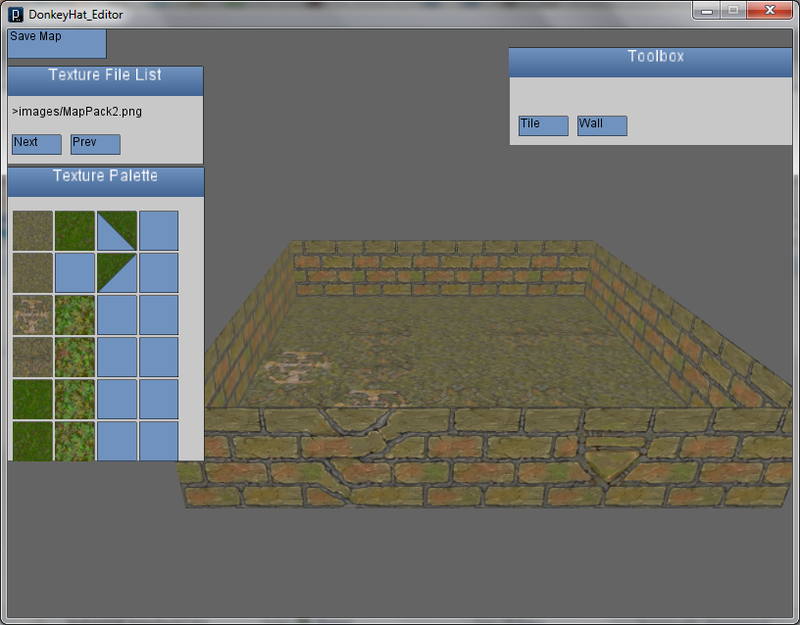 Graphics provided by Reiner’s Tiles. 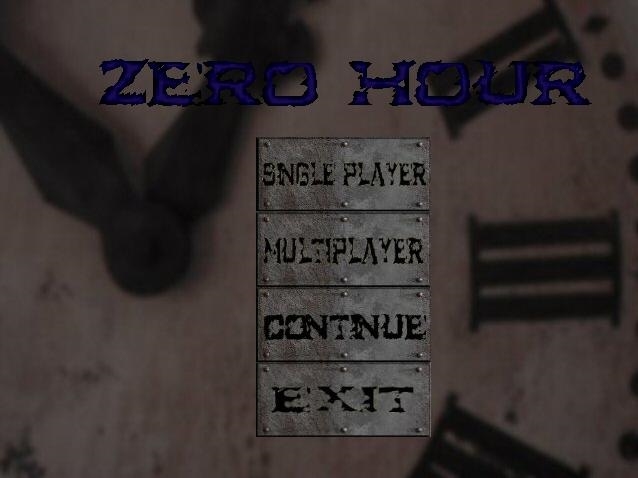 This is a game I made in college as an end-of-the-year project. 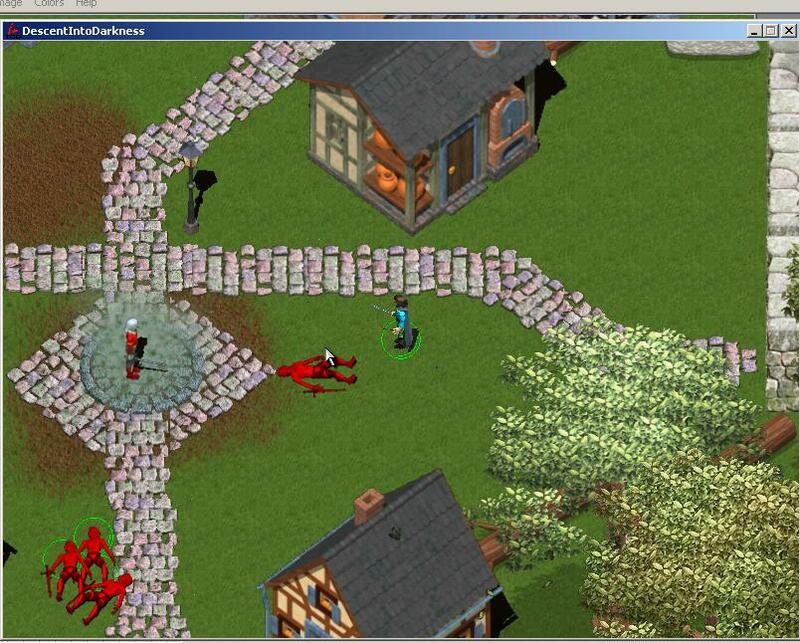 I had a team of 3 (1.5 programmers, 0.5 artists, 1 level design/audio guy). The game is available here. Also check out the manual.